Unit No:208 to 216, 2nd Floor, Delta Block Sigma Soft Tech Park (SSTP), Varthur-Hobli, Ramagondanahalli, Bangalore, Karnataka 560066, India. View Map. Embitel GmbH Rommelstraße 11 70376, Stuttgart, Baden-Württemberg 70376, Germany. View Map. 24209 Northwestern Hwy, Suite 200A Southfield, MI 48075, Southfield, Michigan 48075, United States. View Map. Köydenpunojankatu 14 (Logomo Byrå), Kuwait, 23194, Kuwait. View Map. Level 14, Boulevard Plaza Tower 1 Sheikh Mohammed Bin Rashid Boulevard, Dubai, 334036, United Arab Emirates. View Map. 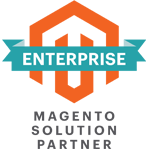 Embitel is a Magento Enterprise Solutions Partner which focus on service domains such as Digital commerce, mobility, cloud. For 10 recent years, Embitel has achieved a lot of successful e-commerce awards in the UK, USA, Middle East, Germany, and India. Furthermore, Embitel also has many experiences in omnichannel solutions in B2B, B2C, multi-store, multi-brand and bidding portals, etc.